Ten years ago we were seeing the start of widespread smartphone use, but although these devices were getting increasingly powerful and allowed people to work and communicate everywhere, their small size was a limiting factor in what they could do. 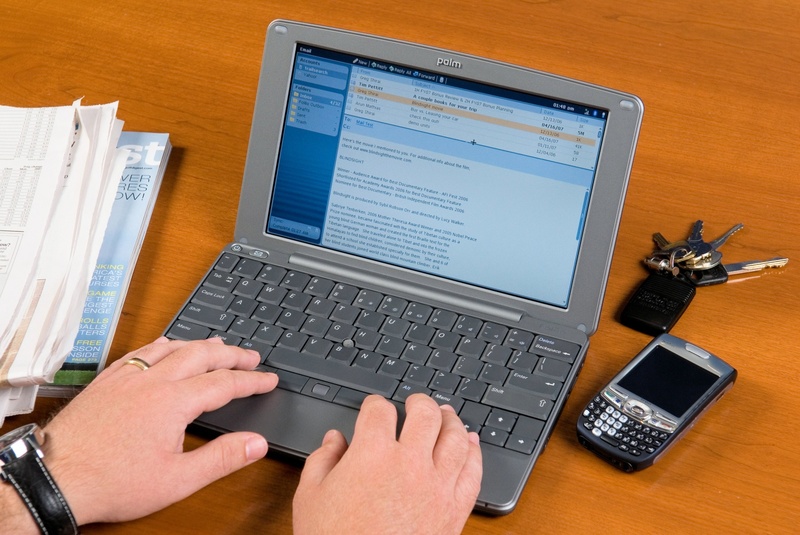 Sure - you could get yourself a laptop computer, but these were designed to be used in the office or at home and taking one out on the road could be difficult. Having helped popularise handheld computing in the 1990s and early 2000s, Palm had missed the boat when it came to smartphones and was struggling to keep up. 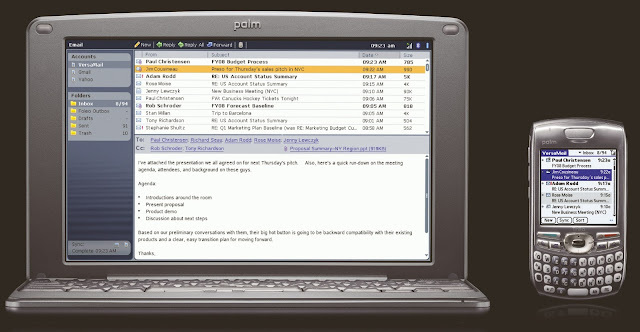 But instead of just looking at what was happening in the market now, Palm were looking forward to the next problem - specifically trying to overcome the limitations of smartphones when it came to serious work. Launched in May 2007, the Palm Foleo looked like a small laptop but it was really something different. The idea was that the Foleo would integrate with a smartphone via Bluetooth or USB and act as an extension of that device. This wasn't just limited to PalmOS devices, but also Windows, Symbian and there were plans for the new-fangled iPhone too. The Foleo itself ran a modified version of Linux, relied entirely on flash memory for storage and it was fan-less due to the low-power CPU, making it very quiet in use and extending the battery life. It weighed just 1.3 kg and had a 10.2" 1024 x 600 pixel screen and a physical keyboard. Email access and cellular connectivity would go through the phone, but as a standalone computer it was pretty capable by itself. Everything looked rather promising, with developers coming on board and pledging support for the device into the summer of 2007. And then - rather abruptly - Palm cancelled the entire project, presumably very close to the anticipated launch date. At the time, Palm was facing considerable financial problems. The PDA that it dominated has collapsed, and it was only a very small player in the smartphone market, so given limited resources Palm had decided to step back from the rather innovative Foleo and instead developed the ill-fated Palm Pre launched at the beginning of 2009. Although the launch of the Foleo would have had its risks, 2007 was the year that Netbooks really started to take off with devices such as the ASUS Eee becoming very popular. Had Palm done the Foleo well, it could have turned around the company's fortunes. Netbooks took a hit the the launch of the iPad in 2010 but then newer devices such as Chromebooks followed in the same vein. Despite never hitting the market, a small number of Foleos were built, some in full retail packaging. These are very rare and prices of $1500 have been seen for units still sealed in the box.